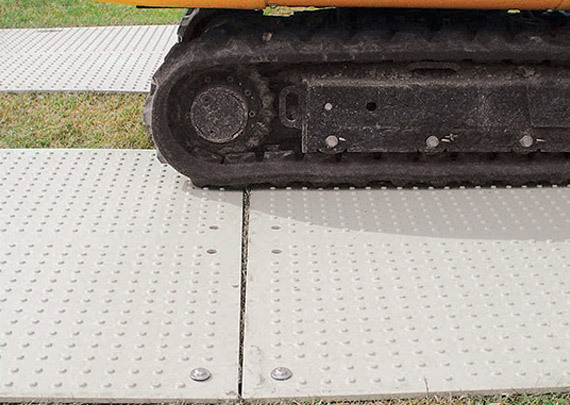 Trak Mats are light weight mats for rubber tyred or rubber tracked vehicles up to 30 tonnes in weight. 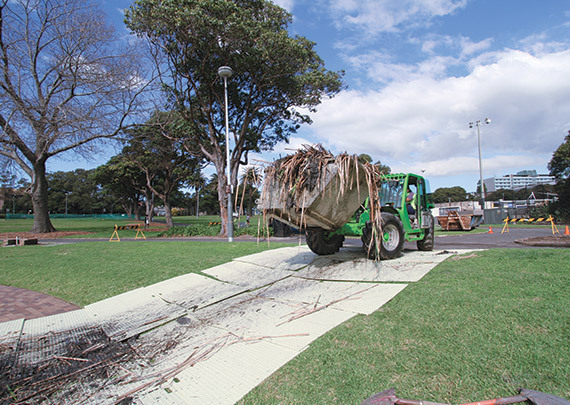 They are easy to handle with hand cut-outs, will not rot or absorb water and are flexible. 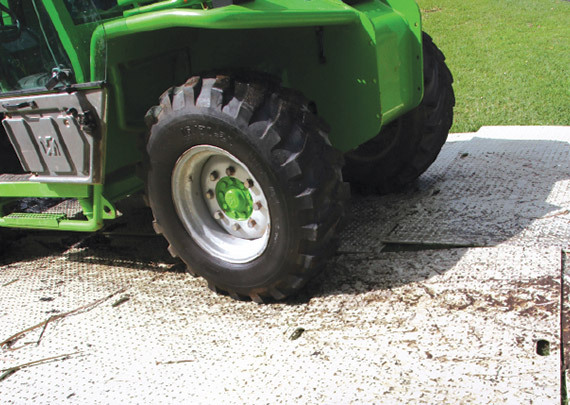 The grip surface profile is designed to dispel mud whilst vehicles traverse and still give non-slip traction.